Following a year of escalating anti-Semitism across the USA and Europe, the Israeli Ministry of Diaspora Affairs announces the findings of the 2018 report on anti-Semitism, revealing some worrying figures. The past year opened with the murder of Jewish student, Blaze Bernstein, followed by a surge in hate crimes on campuses and reaching a peak with the horrific massacre of 11 Sabbath worshippers at the Tree of Life Synagogue in Pittsburgh. While Islamist anti-Semitism posed the greatest threat and danger to Jewish communities in previous years, 2018 saw a change in trend; today the greatest threat to Jewish communities is anti-Semitism perpetrated by far-right activists. The report further states that Jews are subject to more than half of all hate crimes perpetrated on the basis of religion in the USA. Furthermore, in the FBI Report on Crime Statistics for 2017 under the category of “Hate crimes motivated by bias against religion” 1679 incidents are listed. 58.1% of these were anti-Semitic hate crimes. The report also portrays a difficult situation in Europe, where the increasing waves of immigration serve to heighten anti-Semitism. The number of reported anti-Semitic attacks in Britain is at a record high for the second year in a row. 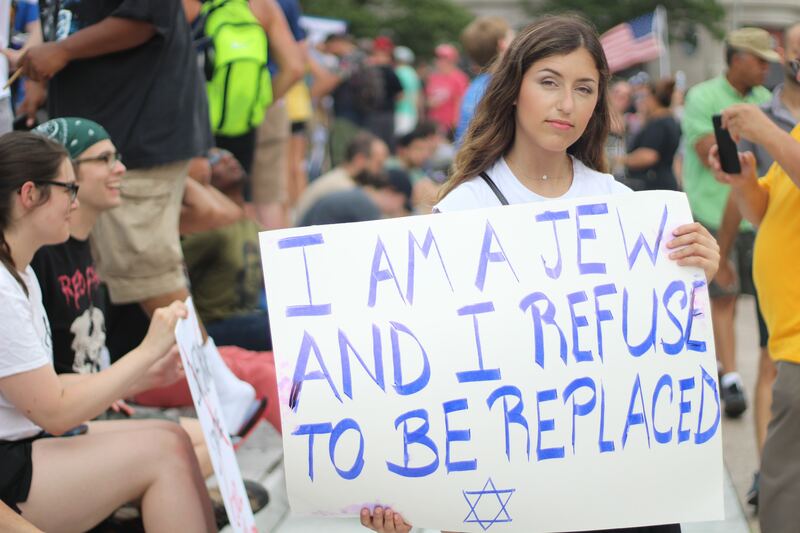 Neo-Nazi rallies are becoming more and more common and the overall feeling of European Jewry – both as individuals and as communities – is that anti-Semitism has gone up a notch and has become popular and an almost trivial matter. A survey conducted by the European Union shows that 85% of European Jews believe that anti-Semitism is a problem in their country; 89% believe that anti-Semitism has been on the rise in the past five years and 38% have deliberated emigrating due to the rise in anti-Semitism and the decline in personal safety. The survey showed further that 80% of all incidents are not reported. Rabbi Kenneth Brander, President and Rosh HaYeshiva of the Ohr Torah Stone network, said in response to the report: “The worrisome findings published today by the Ministry of Diaspora Affairs, both about the increase in the number of anti-Semitic incidents and their victims in various countries around the world, as well as the undermining of the Jewish communities’ sense of security, are an important reminder of the need for us to embrace Jewish communities in the Diaspora in general, and in particular those in which anti-Semitism is on the rise. “Especially today, as we mark International Holocaust Remembrance Day, it is important to remember that Jews have long been persecuted – regardless of which faction they belong to or what they believe – solely because of their Jewish roots. Therefore, strengthening our unity and the principle that, as Chazal say, “All of Israel is responsible for one another” are more important than ever.